Whether you’re adding one server, or multiple racks - or moving to the cloud - the PowerEdge server portfolio offers innovative IT efficiencies and cost savings. 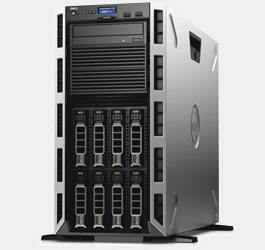 Our manufacturer refurbished servers provide you with a huge saving over brand new. We have stock arriving daily so, if you don\'t see what you need right now, you can always give us a call or request a call back. Work unimpeded - the Dell Precision 7920 Rack Workstation. Incredible power for innovative minds: New Intel Xeon processor Scalable family powers even the most arduous of tasks. Engineered with the latest dual socket performance with up to 28 cores per processor. No project is too big: With up to 1.5TB of new faster 2666 MHz RDIMM expandable memory, you can accelerate your workflow without slowdown. Featuring up to 3TB of total memory (when available) with select CPUs (requires dual processors). Ready for complex projects, including virtual reality workflows, with next generation AMD Radeon Pro and NVIDIA Quadro professional graphics with support for up to 900W of graphics power. No project is too big with up to 48TB of total storage featuring Enterprise class SAS hard drives and Dell Precision Ultra-Speed drives with up to 8 M.2 PCIe NVMe SSDs. By placing your 2U Rack workstation in a secure, but 100% network accessible central environment, your data/IP never leaves the host workstation. And with 24-hour access, multiple users (1:1) can work the same project at different times without the potential security risks associated with physically transferring data between sites. 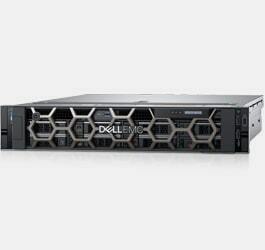 Built for the most demanding workload environments, Dell PowerEdge blade, rack and tower servers boost application performance. Buy new & certified refurbished next-generation Dell PowerEdge server technologies at exceptional discounted rates at EuroPC. We believe it's important to consider the environment while saving you money. Providing IT-Resellers with refurbished, re-new and end of life hardware. Built for Gamers! Ready and waiting with next day delivery. Premium quality and reliability for small and medium-sized enterprises. Home computing priced at discounted rates. Exceptional value for money!